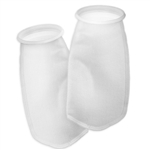 These Replacement Filter Sock are for all Aqueon ProFlex Modular Sumps. The Aqueon Megaflow Overflow Accessory Kit is designed for use with the Aqueon MegaFlow and TwinFlow Aquariums. Installation Instruction Manual (pdf in new window). The Aqueon ProFlex Model 2 Modular Sump allows for different setups. There are three chambers. The first chamber has the filter sock and bubble diffuser chamber. The second chamber can be used for a refugium or protein skimmer. There is an opening over the second chamber for the Coralife Mini LED Aqualight, which is made specifically for refugiums. The constant water level in the second chamber is ideal for a protein skimmer, and you can take off the lid in the top for taller protein skimmers. You can also put a protein skimmer in the third chamber, but it will need to share the space with the return pump. To keep the water level constant in the third chamber (if you're using a protein skimmer there), you may want to use an Auto Top Off Controller. Recommended for the Aqueon 72 Bow, Aqueon 75 Illuminata and any other aquarium up to 75 gallons. The middle section can be used as a refugium or to house a protein skimmer. You can also put a protein skimmer in the third chamber, but it will need to share the space with the return pump. Does not include a return pump. For a return pump we recommend the Supreme Magnetic Drive Pumps or Rossmont Riser R850 Return Pump. The choice of pump depends on whether you are doing a reef or fish only setup, and the amount of head pressure. The Aqueon ProFlex Model 3 Modular Sump allows for different setups. There are three chambers. The first chamber has the filter sock and bubble diffuser chamber. The second chamber can be used for a refugium or protein skimmer. There is an opening over the second chamber for the Coralife Mini LED Aqualight, which is made specifically for refugiums. The constant water level in the second chamber is ideal for a protein skimmer, and you can take off the lid in the top for taller protein skimmers. You can also put a protein skimmer in the third chamber, but it will need to share the space with the return pump. To keep the water level constant in the third chamber (if you're using a protein skimmer there), you may want to use an Auto Top Off Controller. Recommended for the Aqueon 65, 75, 90, 110, 92 Corner, 110 Wave and any other aquarium up to 110 gallons. The Aqueon ProFlex Model 4 Modular Sump allows for different setups. There are three chambers. The first chamber has the filter sock and bubble diffuser chamber. The second chamber can be used for a refugium or protein skimmer. There is an opening over the second chamber for the Coralife Mini LED Aqualight, which is made specifically for refugiums. The constant water level in the second chamber is ideal for a protein skimmer, and you can take off the lid in the top for taller protein skimmers. You can also put a protein skimmer in the third chamber, but it will need to share the space with the return pump. To keep the water level constant in the third chamber (if you're using a protein skimmer there), you may want to use an Auto Top Off Controller. Recommended for the Aqueon 120, 125, 150, 180, 210, 155 Bow Corner, and any other aquarium up to 240 gallons.